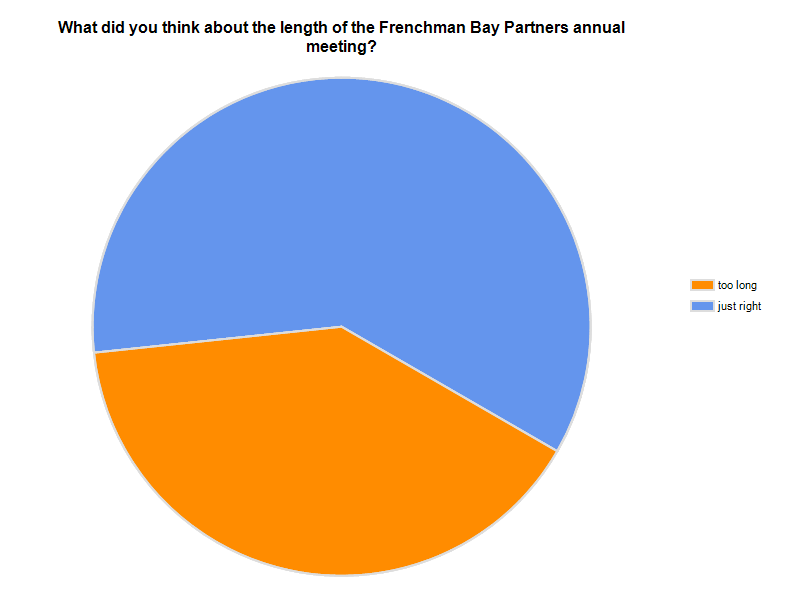 Over the course of three days, 15 people responded to an eight question online survey regarding the Frenchman Bay Partners Annual Meeting held on February 1, 2014. The Frenchman Bay Partners consists of individuals and organizations representing marine industries, research organizations, tourism companies, education institutions, conservation groups, land trusts, and municipalities. This year’s meeting was held at Mount Desert Island Biological Laboratory’s Dahlgren Hall. Fifty people were in attendance. 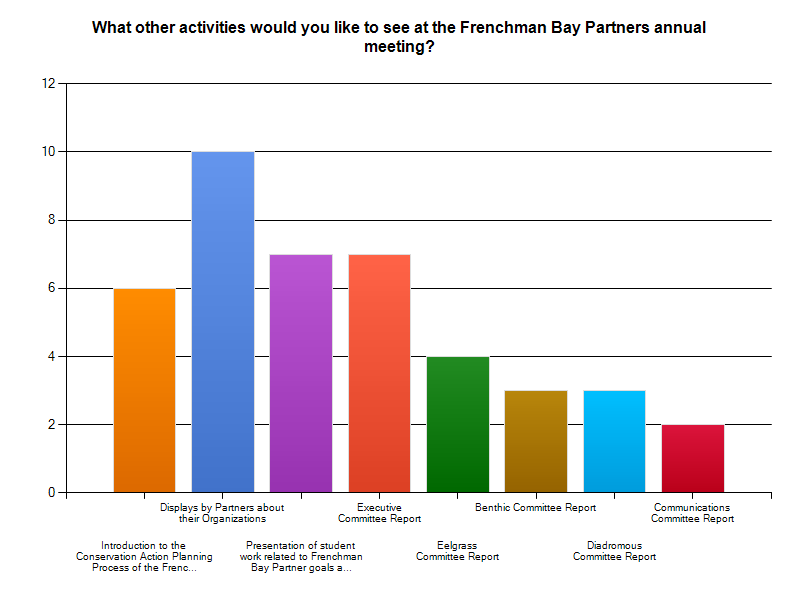 The meeting began with three keynote presentations focused on the benthos of FrenchmanBay, followed by a panel discussion. 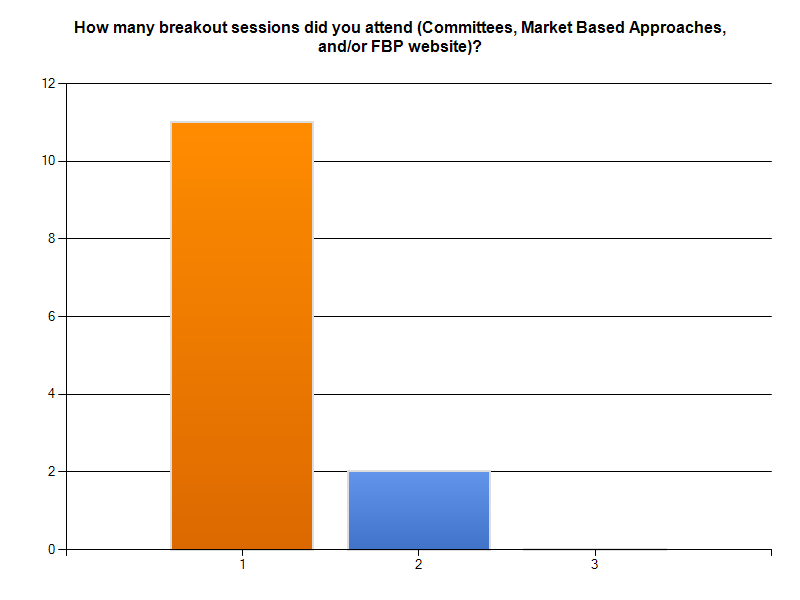 In the afternoon, after a potluck lunch, attendees chose to attend one or more of three breakout sessions. 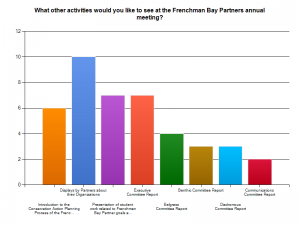 There was a session on the Frenchman Bay Partners website, a session to meet committee members, and a session on market based approaches to conservation. Survey was processed via Survey Monkey. 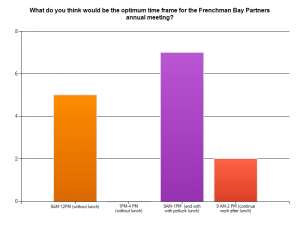 Click on chart to enlarge image.